As a website developer I'm always on the lookout for new tools to help me build a families website faster. Tools with engaging interactive features. That said, I know that many of our family reunion planners have wondered if there is an easier way to go about building a family reunion website. One that will allow them to add new content, build a family tree, share documents, display photos and sell tickets and accept donations to the event. 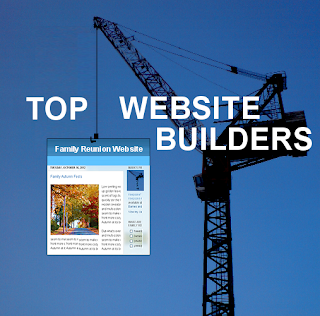 The ideal DIY family reunion website builder is one that has all these features built in. So does one exist? A few years ago I went on the hunt to find it. I reviewed several sites with that many useful features. But the main features of photo sharing, document sharing, paying for event dues and making donations were not so prominent among DIY website builders at that time. 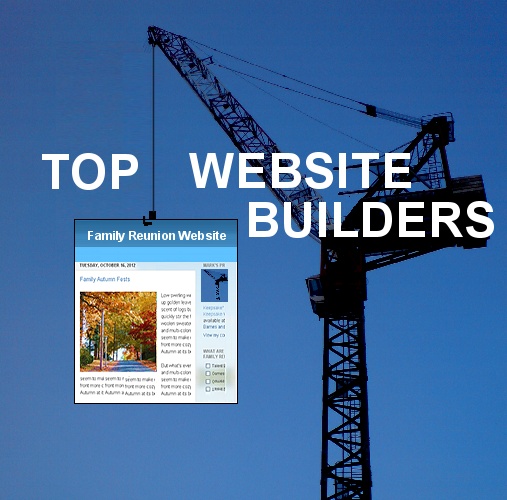 After so many years of trying out scores of builders I stumbled upon a family oriented website builder that was quickly becoming a rising star. This particular website builder has been featured in Martha Stewart's Living, LIFE magazine, The famous "...For Dummies" Books as well as The Wall Street Journal. So what's so special about this family reunion website builder? First off I would not say it is a special website builder as the term 'special' could imply unique and different. What users need in a reunion website is not something different from the standard but rather a step above the standard. Therefore I would say that this website builder is is robust, fully functional, versatile and very useful as a family reunion website builder and family reunion planning tool. Here are my reasons. This page saves you time by clearly displaying all the information relevant to the event. Post a picture of the venue, include special access information, parking information, any information to help the guests! Event Calendar features help you keep track of all your families special events. In addition there are buttons to help you promote your website on facebook, google plus and twitter. Find out the preferred activity options of your family members. Automatically send invitations and display who has RSVP'd and/or bought tickets to your event. Family members can RSVP to the reunion on your website, saving time and postage money. You can add questions to the RSVP page to prompt responses from your family members to help with the planning. You can even include meal selections with this tool. Update family members on event details or important information at any time. Create a message boards and allow family members to communicate before and after the reunion. Reduce the stress of collecting ticket payments by having family members purchase tickets with a credit card on a secure page right on your reunion website! Raise funds using the Donations feature on your reunion website. Let people choose their own donation amount or set specific increment levels (ex: $25, $50, $75, $100). Each donation page features a thermometer that displays the goal amount.Keep track of event costs and share important files with committee members allowing committee members to logon and view data and download documents. Add a map for any destination simply by entering the civic address. The map will show how to navigate to your reunion so you don't have to! You can include more than one map to help direct family members to multiple events. Upload unlimited photos and create Photo Albums organized by event, family members, or by date. There are some impressive keepsake features you might enjoy including converting your reunion website into an ebook that can be mailed to you on CD. The family reunion website developer is BBB Online reliable, VeriSign secure, reviewed by Truste, PCI Certified and you get a 30 day money back guarantee.